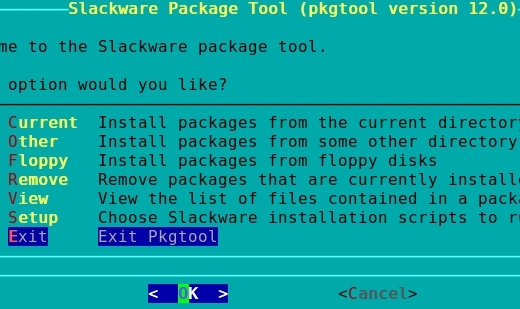 The /extra directory contains extra/alternate Slackware packages that might be handy. 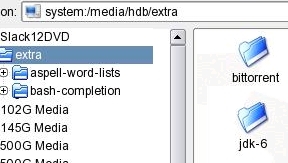 The /extra directory is on your installation media (disk 3 if using the CD set) and also on the Slackware mirrors. 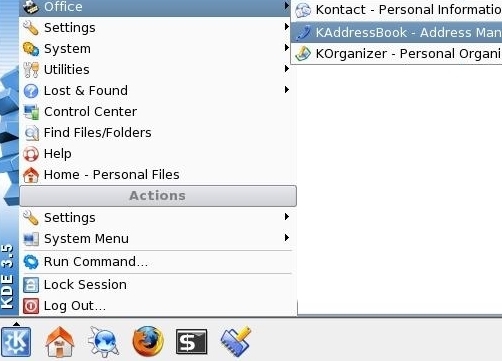 Packages from the /extra directory can be installed by root using installpkg. Together we will install BitTorrent. Afterwards you can follow the same steps to install the Java 2 SDK. BitTorrent is now installed. 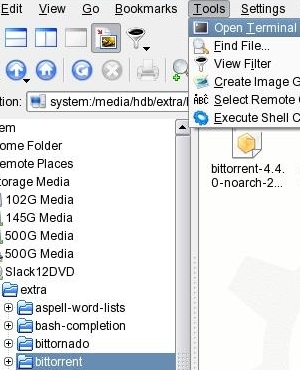 BitTorrent is located on your system in the /usr/bin directory. You can read Section 22 for a brief introduction on how to use it. To install the Java 2 SDK simply follow the steps outlined above. 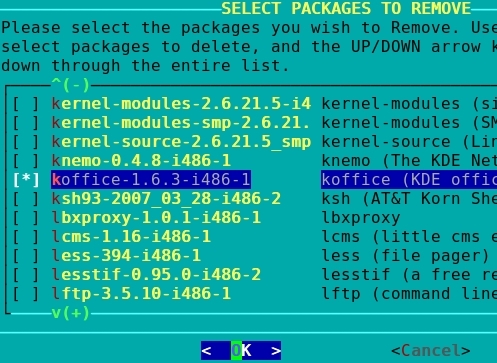 KDE comes with its own office suite named KOffice. I'm going to uninstall KOffice before installing OpenOffice.org. 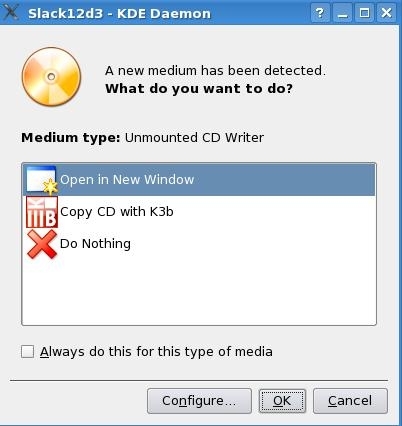 You don't need to remove KOffice. I'd just rather not have two Office Suites on my system. 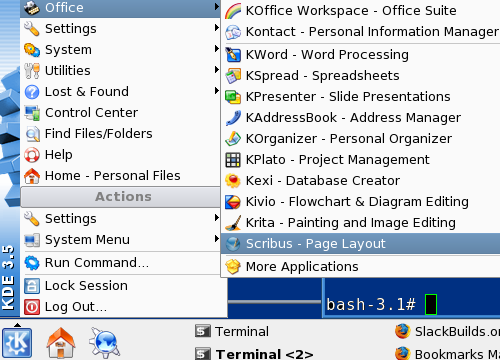 I'm going to use pkgtool to remove KOffice to use OpenOffice.org. You can also use removepkg if you want.